Hair loss and baldness are thought to be seen only in men, but many women also complain about female hair loss or female hair thinning. Hair loss in women and men has a common side, there is absolutely an underlying medical reason if there is hair loss in both sexes. 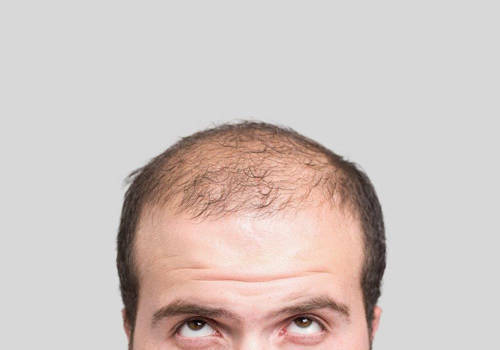 Baldness that occurs related to stress, pregnancy, medication or some diseases heals on its own in a short time when the triggering reason disappears and patient can get her hair again. Female hair loss may also be overlooked as a "normal" phenomenon. Gradual hair loss is often associated with ageing. Temporary hair loss is often associated with pregnancy. Very often, women have pattern hair loss that "runs in the family". Hair loss in a woman should never be considered "normal"; however, the cause should be pursued until a diagnosis is established. Of the many causes of hair loss in women, only a few such as ageing, hormonal changes associated with pregnancy and hereditary pattern hair loss may be considered "normal". Treatment is available for hair loss due to these conditions, and treatment should be considered when hair loss influences the woman's quality of life. Androgenetic Alopecia: hereditary pattern hair loss with a typical pattern of diffuse thinning over the central scalp. It is the most common type of hair loss. It occurs in about 20% of women. Alopecia Areata: a recurrent disease of unknown cause, that results in patchy loss of hair from the scalp and/or eyebrows. Telogen Effluvium: a condition that causes shedding of hair over the entire scalp, it may be chronic but may also be acute following a stressful event; such as high fever, severe dietary deficiency, and chronic blood loss from heavy menstruation. Loose Anagen Syndrome: a condition that causes hair to shed before its normal growth cycle is completed. Hair can be pulled out by normal combing or brushing. Traction Alopecia: tight braiding and corn-rowing can, over time, cause permanent damage to hair and scalp and result in hair loss. Chemicals: some chemicals used in hair styling can, over time, cause permanent damage to hair and scalp and result in hair loss. Trichotillomania (compulsive hair plucking): a person feels compelled to pluck hair in regular or bizarre patterns, resulting over time in traction alopecia and permanent hair loss. Scarring Alopecia: hair loss due to scarring of the scalp area. Scarring alopecia typically involves the top of the scalp and occurs predominantly in women. The condition frequently occurs in Afro-Caribbean women and is believed to be associated with persistent tight braiding or "corn-rowing" of the hair. A form of scarring alopecia may also occur in postmenopausal women, associated with inflammation of hair follicles and subsequent scarring. Hypothyroidism: thyroid deficiency can be associated with thinning, patchy hair loss. Pregnancy: hormonal changes and stress of pregnancy may cause temporary hair loss. Hair transplantation is almost always the surgical treatment choice for a woman. The procedure has a high rate of success in women suffering with hair loss, and the great majority of women are very satisfied with the results. However, not all women are good candidates for hair transplantation. Since we are usually dealing with women who have only thinned or who can conceal their loss, it is uncommon for anything to show after treatment. We shall of course advise you if we believe this not the case in your circumstance. Some women are more suited to surgical hair loss treatment than others (and some are not suitable candidates at all). We shall endeavor to give you as realistic a picture as possible, of the type of result you can expect from your treatment. There is a technique, called as micro FUE hair transplantation, used in hair transplant in women. This technique consists of taking hair follicles individually from donor site and transplant on the required areas with the help of punch. Since women have thinner hair strands, punch diameter is chosen varied between 0,6 or 0,75 mm. If the number of grafts to be transplanted is less than 2000 and the transplantation is performed more on the area of forehead line, complete hair shave is not required, only the donor site is shaved in the shape of small split between two ears on upper side of nape. If the number of grafts exceeds 2000 and transplant area is in top side, complete shave might be required. Surely, the final decision is taken during examination. If you choose to have hair transplant in Turkey, it is enough to stay in Istanbul for 3 days; there is no problem for going back to work after 2 days from the surgery and you can resume your life as you wish.